How to combine cloud, IoT edge analytics for embedded analytics. IoT edge analytics has traditionally meant pushing IoT data to the cloud and dropping it into a data lake. The goal was for real-time analytics – but that isn’t reality, and the process was inefficient. To get real-time analytics out of IoT devices might require a different strategy: embedded analytics. This method allows gateways and devices to make their own decisions, independent of the cloud. 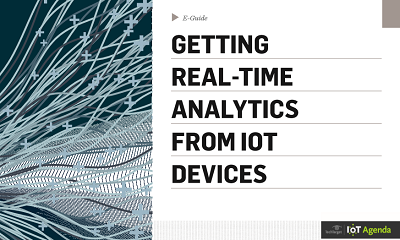 Download this white paper to learn how to combine cloud, IoT edge analytics for embedded analytics.